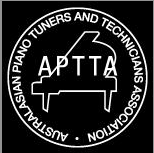 Charles Newland is an experienced professional piano tuner and technician based in Adelaide, South Australia. Trained by highly skilled Yamaha concert technician Brent Ottley, Charles is a graduate from the Australasian School of Piano Technology in Melbourne, Victoria and a Full member of the Australasian Piano Tuners & Technicians Association. In 2010, Charles received an honours degree in Music Performance from the Elder Conservatorium of Music, where he majored in violin under Associate Professor Keith Crellin OAM. Charles' skills include piano tuning, regulation, voicing, repairs and pre-purchase inspections. and are frequently recommended by premier music teachers, music retailers, members of the Adelaide Symphony Orchestra, and staff of the Elder Conservatorium of Music. Bachelor of Music Performance (Honours) – majoring in violin. Elder Conservatorium of Music – University of Adelaide.